Leonid Kantorovich was an Russian mathematician and economist. As a young professor of mathematics he developed what is now known as linear programming. In 1930 he published Mathematical Methods for the Organization and Planning of Production, the first paper in this field. Kantorovich’s early applications of this theory to such basic economic problems as maximizing output subject to input constraints were not taken seriously in Stalin’s Russia. After Stalin, the use of mathematics to solve economic problems gained approval, and Kantorovich was elected to membership of the Soviet Academy of Science and was awarded the Lenin Prize. In 1975, Kantorovich and Tjalling C Coopmans, of Yale University, shared the Nobel Prize for economics. 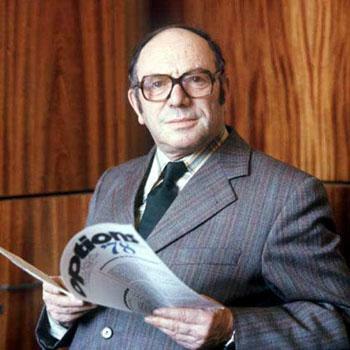 Kantorovich was the only Russian economist to win the Nobel Prize. The citation for Kantorovich said he ‘applied the analytical technique of linear programming to demonstrate how economic planning in his country could be improved.